NEW! 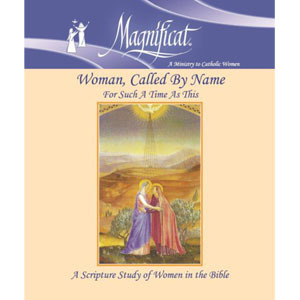 The participant workbook includes twenty lessons (ten Old Testament Women and ten New Testament Women) with questions for reflection and printed song lyrics to complement each lesson. Please allow 2 - 3 weeks for delivery. Thank you. 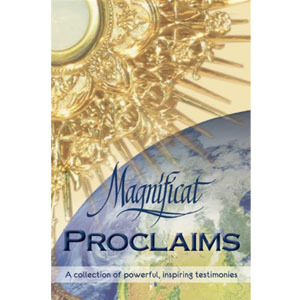 This incredible book is a collection of 19 powerful and inspiring testimonies (Annette Baber, Diane Bates, Kathleen Beckman, Johnnette Benkovic, Babsie Bleasdell, Dorinda Bordlee, Kitty Cleveland, Sharon Lee Giganti, Marilyn Heap, Elizabeth Kim, Kathy MacInnis, Sr. Briege McKenna, Patti Mansfield, Rosalind Moss, Marilyn Quirk, Elyse O’Kane, Carol Razza, Jan Tate & Maria Vadia) given at Magnificat Meals around the world.